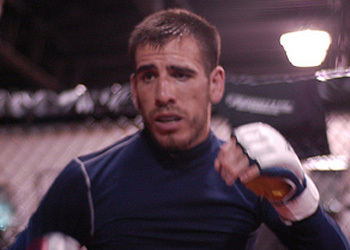 After dropping a unanimous decision to featherweight champ Jose Aldo this past Saturday at UFC 136, some suggested Kenny Florian’s (Pictured) mixed martial arts career had come to an end. The 35-year-old was clearly dejected during the post-fight press conference, but he wasn’t prepared to call it quits after losing his third title fight. On Monday, the former “Ultimate Fighter 1” finalist issued a statement reiterating his up-in-the-air status. “Everyone is asking what is next for me,” Florian expressed in a statement released by Authentic Sports Management. “The only response I can give right now is that I’m going to take some time. I want to rest, spend some time with my family and friends, and then evaluate all of my options. I’ll speak with [UFC president] Dana White, and my manager, Glenn Robinson, and we will figure out my next move. Florian owns a 14-6 professional record, with 12 of his wins coming by way of devastating finish. All but three of his fights have been under the UFC’s watch. “Ken-flo” started his Octagon career in the middleweight division and worked his way down to the featherweight class. In addition to his skills inside the cage, Florian has also served as a color commentator for the UFC and is a regular analyst on ESPN2’s MMA Live. Dana White said it will be up to Florian whether he wants to resume his career. Regardless, White professed he will always have a home with the promotion.